Hey guys, I've got water coming into my cab on the door not the roof top area but the angle going down towards the side mirror. I can't tell which seal that's causing it. How do can I tell is there a test method? My drip edge on top of the door was loose but I put a new one and it didn't fix it. 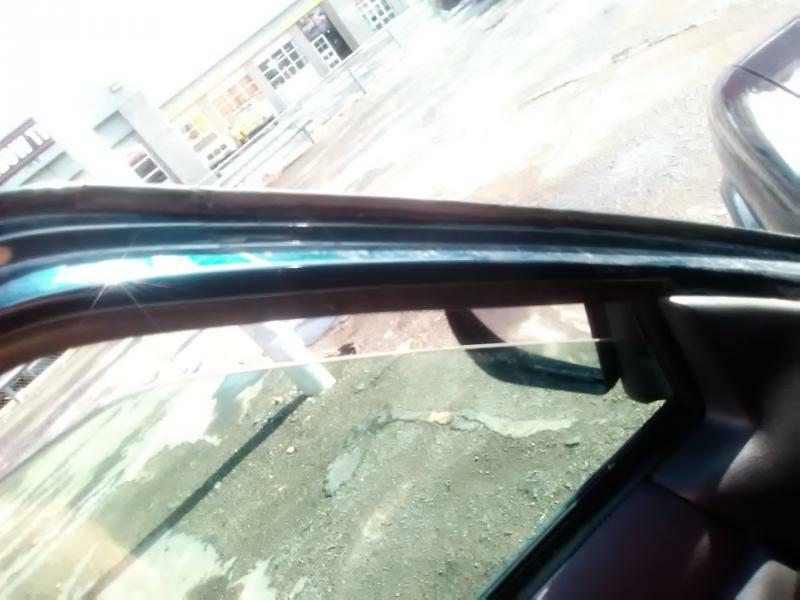 I'm thinking it might be the stripping along the windshield that meets the door it has wear rubs but nothing looks damaged. 03 ls. Are you hinges sagging and not sealing the door properly? I'm not sure, how would I tell if they were? I noticed a difference in the door reveal where it meets the fender, the top has a bigger gap then the bottom and another thing when I open the door it always wants to close back on me, like someone had over extended the opening on it before. Open the door, pull up on the handle. If the door moves up, the pins are bad. You can see them move if they are bad. Ok pulled up on it, it stayed solid though with the truck bouncing up and down. It's probably the short gaskets that go from the door jamb to the beltline. LMC truck...Right at $80 for the pair shipped. Doing it on the Blazer this weekend. They suggest getting the sealer (Loc-Tite) The factory doesn't use sealer...just the double sided tape. The LMC gaskets come with the tape installed. The one on the door itself? Yeah I bought that tube of loctite adhesive with a lmc order before but I'm not sure if was the right stripping, I ended up going to an junkyard and getting this one in the pic and putting it but it still leaks. Ahhhh, I kinda suspected it might be that one too, thanks. I've only pulled it back a couple of inches. It's a safe bet you're going to need a 3M adhesive removal wheel to get the tape off. Rockauto...I have to lean into closing the door....very stiff. I'll probably get another set from LMC. 3m removal wheel? For a grinder? Maybe some penetrating lubricant or silicone lubricant or even just oil will soften it up or it might just be too big unless you can place it back further in, rock auto definitely seemed to only have that one that goes around the door and that was about all i saw for selection. silicon adhesive sealant for 3$ that might work just as good as that loctite, I threw mine away from Lmc now I need it again lol! Another trick is to sprinkle baby powder on gasket,carefully close door,wet down,look for spots the powder is gone. for larger vehicles we rigged up a blower to pressurize the cabin and sprayed the outside with foam soap. This will find a roof leak in an RV in an instant. He already has water coming in...it leaks.